Today is April Fools Day, aka the day where you can’t trust anything you read on the internet. Well, I wanted to buck against that trend and stand up for truth on a day that so many people are fooling around. So I decided to debunk 5 Disney World myths, ranging from the realistic to the downright implausible, and try to set the record straight. 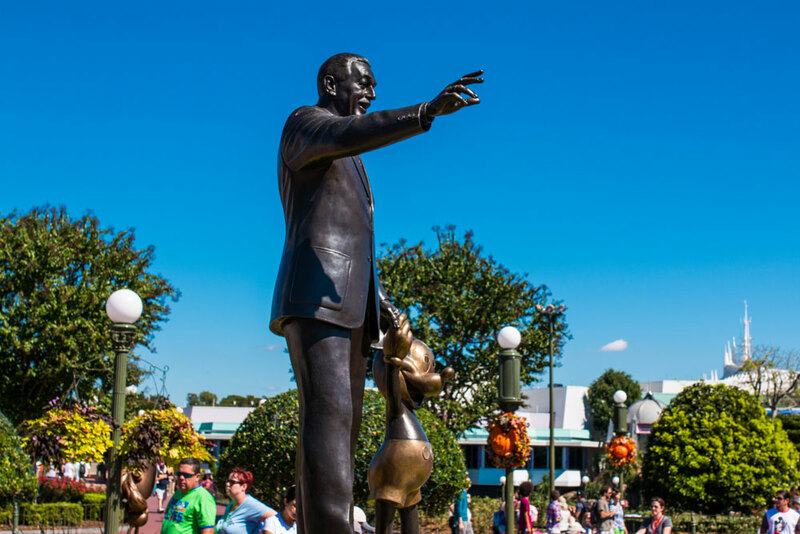 Here are 5 Myths about Disney World that simply are not true. 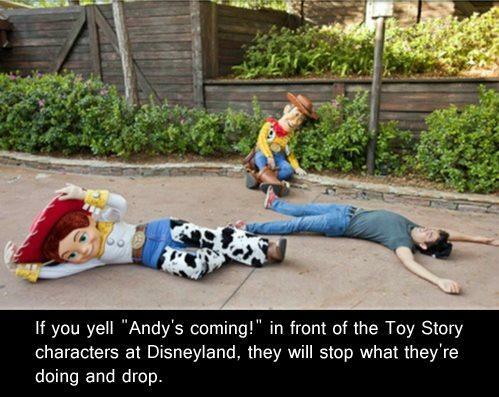 1 – Yell “Andy’s Coming” to Toy Story characters and they will drop to the ground. 2 – Disney World has it’s own private club called Club 21, a la Disneyland’s Club 33. Club 33 is an extremely exclusive, extremely expensive private club at Disneyland. Club 33 features a lavish restaurant and lounge in New Orleans Square, near Pirates of the Caribbean at Disneyland Park that is limited to members and their guests. 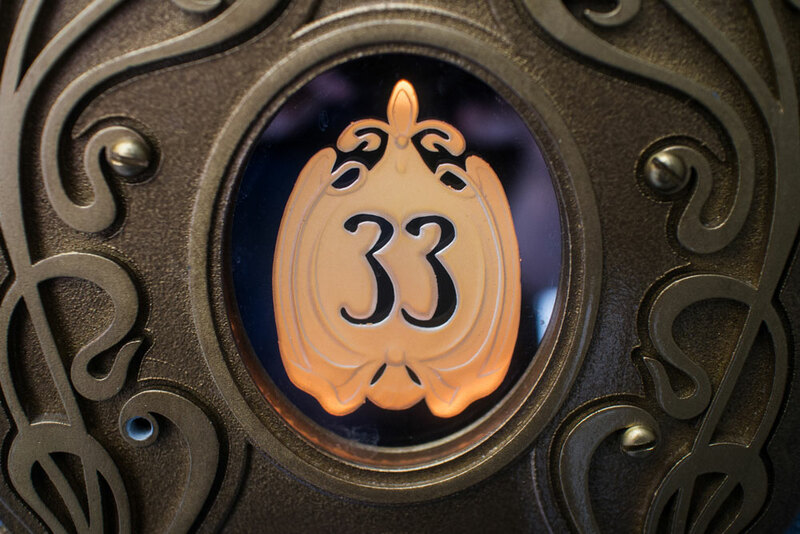 Club 33 is very real, and the entrance to the restaurant is located out in plain sight at Disneyland. Rumor has it that there is a secret, exclusive club called Club 21 located near Pirates of the Caribbean in Magic Kingdom at Walt Disney World. It’s like Club 33 in several ways: it is a private club, and it’s housed near Pirates. However, Club 21 differs from Club 33 in one very key way: Club 21 is very much not real. This rumor persisted for years despite no evidence of anyone ever getting into this mythical club. The truth is Disney World has its own Club 33 currently in development, with clubs landing in each of the four parks. This exclusive-yet-publicly-announced WDW Club 33 is not quite as exciting as a super secret Club 21. Once the Floridian Club 33 opens, hopefully rumors of Club 21 will die down. On an unrelated note, if there’s anyone with access to Club 33 out there… How do I say this without sounding desperate? Call me? Please? Please, please, please? 3 – Walt Disney is frozen and his body is kept somewhere inside Disney World or Disneyland. This is a Disney myth that has permeated our collective consciousness so much that I’ve seen this referenced in pop culture, by friends, and by fellow Walt Disney World guests. Somewhere along the line, the rumor got out that Walt Disney had his body frozen, in the hopes that medical technology would advance enough in the future that he could be revived and brought back to life. Furthermore, I’ve heard several people tell me adamantly that his body is being kept underneath an attraction at Disneyland or Disney World, with Pirates of the Caribbean and Haunted Mansion being the two most popular candidates for Walt’s icy slumber. The truth is much less bizarre. Walt was cremated the day after he died on December 15, 1966, and his burial site resides in Glendale, CA. 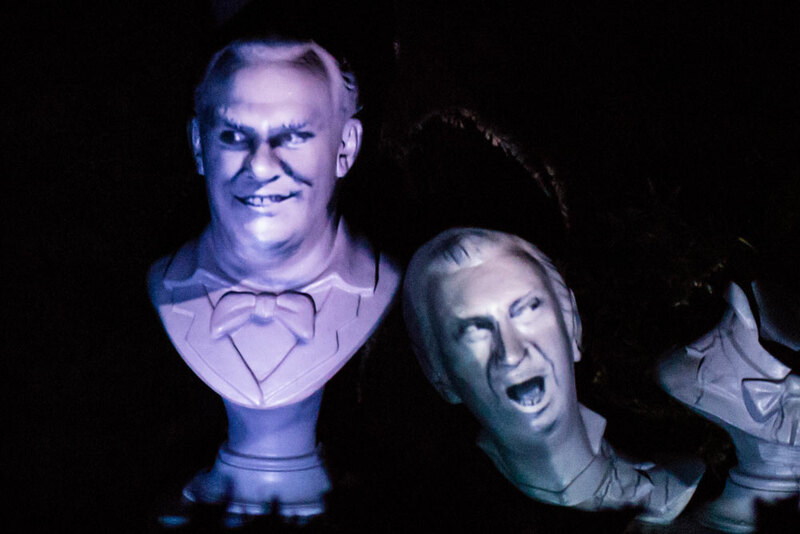 You know the quintet of singing busts that serenade Doom Buggies with “Grim Grinning Ghosts” as they drift by? You know the one with the thin mustache? Did you know that’s Walt Disney himself? Well, you shouldn’t, because that isn’t Walt Disney. Thurl Ravenscroft, the man who voiced Tony the Tiger and sang “You’re A Mean One, Mr. Grinch,” has the distinction of playing the broken bust 2nd from the left in the graveyard scene in Haunted Mansion. He bears a slight resemblance to Walt Disney with the same-style mustache, and since guests only briefly see him as they ride by, it makes sense that this rumor got started. Thurl Ravenscroft can also be heard in Walt Disney’s Enchanted Tiki Room (as Tangaroa, Fritz, and various Tiki Masks), Pirates of the Caribbean (various singing pirates), and Country Bear Jamboree (as Buff). This Disney World myth is by far the most outlandish, and I almost didn’t believe that it was a thing people thought was true until I did the research for this article. Apparently, some people believe that Disney has built a giant dome over Walt Disney World and they can control the climate inside the dome, so if you don’t like the weather you can ask a cast member to kindly change it from rainy to sunny. This all sounds like a joke that some poor person took seriously and somehow spread around. No, there is no dome over Disney World. The property is so big that a project of that size would just be so outlandish. 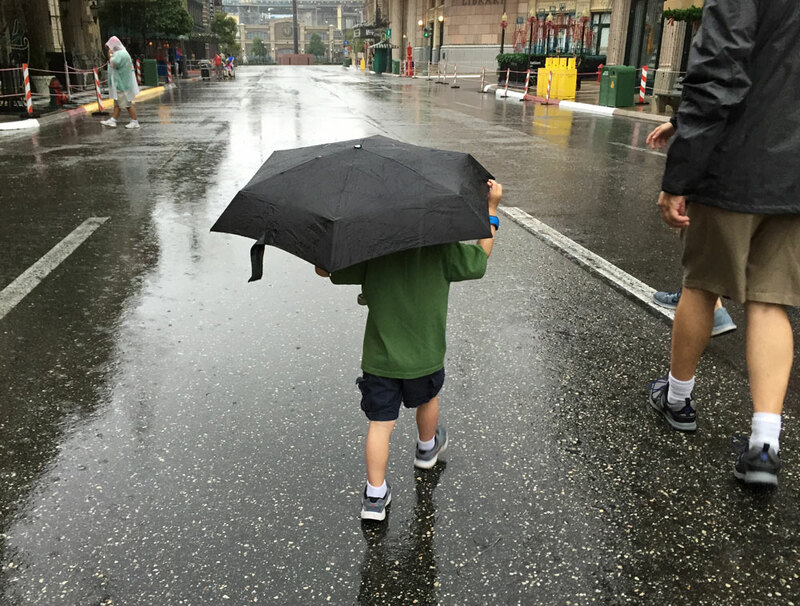 And while Disney can make some magic moments, they definitely cannot control the weather. To anyone who believes that, let me ask you this: Have you experienced Orlando weather? If Disney controlled it, you think they would choose something a bit more comfortable than 110% humidity and 90 degree heat with a smattering of random thunderstorms throughout the day. Do you know any good Disney World myths? Let me know in the comments below!